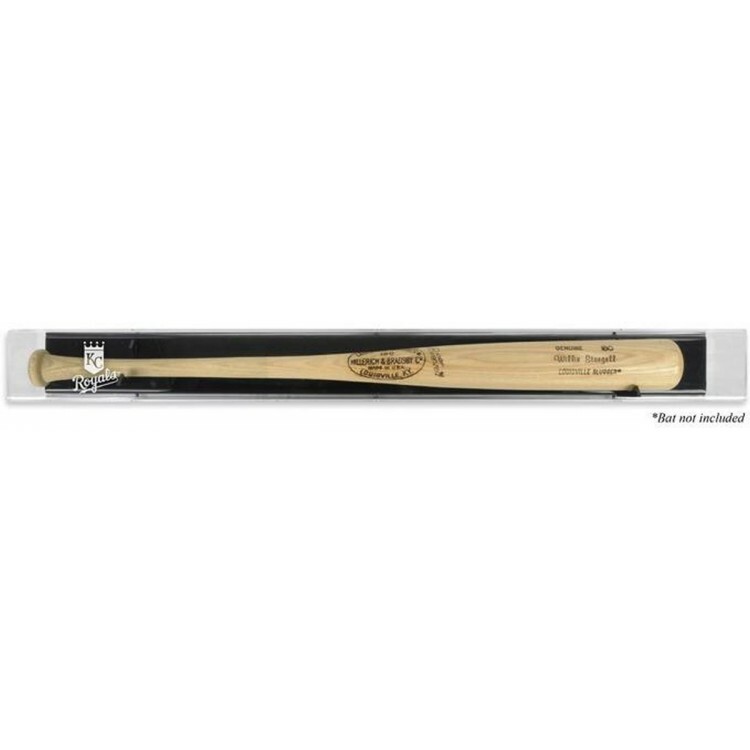 The Kansas City Royals deluxe logo baseball bat display case is made of 1/8"-thick clear acrylic with a black acrylic back. It is wall-mountable or can sit on a shelf or countertop. Perfect for a collectible bat. Comes with engraved team logo. Officially licensed by Major League Baseball. Measures 37" x 4 1/2" x 3 3/4"". Memorabilia sold separately. The NHL Shield black framed 30 puck display case is perfect for showcasing your valuable hockey puck..
NEW! Our Zenith Collectors Helmet case includes a mirror back and Mahogany Framed Base with gold ris.. The "creme de la creme" of football display cases. Ultimate collectors football case with a wood gra.. The Arizona Diamondbacks Golden Classic 2-ball logo baseball display case comes with a black acrylic.. The Florida State Seminoles mahogany framed logo jersey display case is made from a durable, high st.. The Washington Wizards wall mountable basketball display case is made of 1/8'' thick acrylic with a ..
Caseworks' 9 Bat, Removable Face Bat Display Case with Mahogany Frame now includes a custom beveled ..